Get to know Venezuelan cuisine or enjoy a few of your favorite traditional dishes at the second annual GastroRutaVenezolana (#GRUVE), organized by local Venezuelan associations ASOCAVEN and Arepa i Cava. 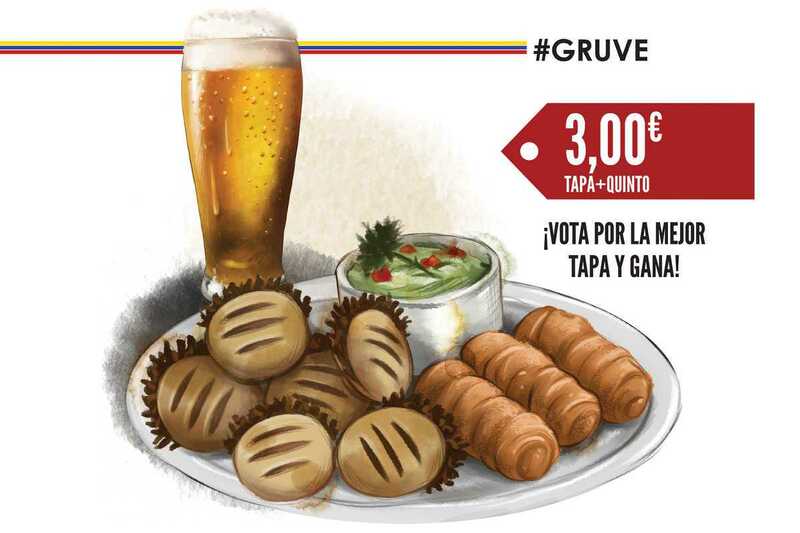 Each participating restaurant is serving up a pasapalo (that’s Venezuelan for “tapa”) plus a small beer for just €3. Tequeños, cachapas, pabellón criollo and arepas are just a few of the authentic delights that await at 11 participating locations: El Rincón de la Abuela Venezolana, La Taguara, La Taverna de l’Eixample, La Orquídea, My Way, Mr. Peppers, El Bombón, Broders, Bada Ona, Bistro Bar 58 and El Chamo. You can also follow the tapas route using the Rutappa smartphone app as well as vote for your favorite tapa. You might win dinner for two at most-voted participating restaurant, or free tickets to the upcoming Día de Venezuela celebration on July 10th at Poble Espanyol (the winners will be announced on June 28th on ASOCAVEN’s Facebook page).